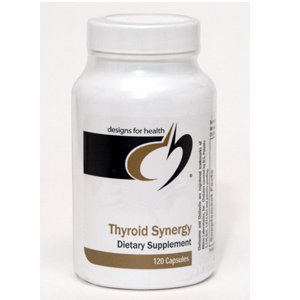 Thyroid Synergy™ was designed to be a top-quality, all-in-one formula for the nutritional support of thyroid function. The non-stimulating adaptogenic botanical American ginseng (Panax quinquifolius) helps maintain healthy cortisol, blood glucose and insulin levels, along with a balanced conversion of peripheral thyroid hormone. 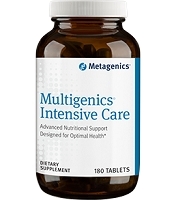 Essential vitamins, minerals, and other nutrients work synergistically to provide a premium thyroid product in just two capsules a day. Suggested Use As a dietary supplement, take two capsules per day with meals or as directed by your health care practitioner. Other Ingredients: Microcrystalline cellulose, vegetable stearate, rice flour. Caution: STORE IN A COOL, DRY PLACE. KEEP OUT OF REACH OF CHILDREN.